Jade, Under Armour Brand Wickaway Jersey. 66″ wide. Micro-polyester lycra blend. Mechanical stretch only. 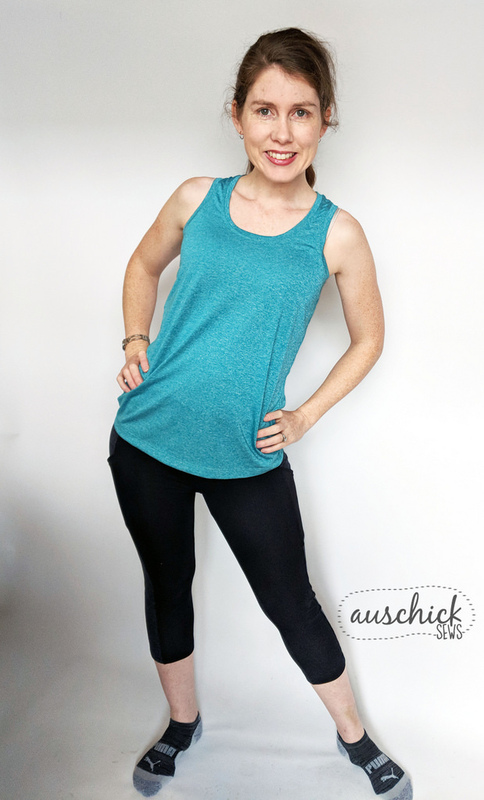 I had so much fun with this fabric for a colorblocked athletic tank with all Simply by Ti fabrics.The Jade UnderArmour coordinates so well with the other fabrics that I picked. I intentionally chose this fabric for the tank front for its wickaway properties. Check out more details about this project on my blog post. 5 out of 5	Perfect for loose workout tops!